Recently, Dr. J Raúl Herance, co-head of the Molecular Medical Imaging group at the Vall d’Hebron Research Institute (VHIR) has been elected to the position of Co-chair of the Spanish Group of the European Molecular Imaging Society. It will occupy this position for two years with Dr. Beatriz Salinas Rodriguez, of the Health Research Institute Gregorio Marañón in Madrid. Both are founding members of ySMIN (young Spanish Moleular Imaging Network), the Spanish Molecular Imaging Group within the ESMI (European Society for Molecular Imaging) that “was created with the aim of promoting medical imaging in all its aspects at a national level and to create a network connected with the rest of groups of European countries to propose R&D projects and exchange students in training explains Dr. Herance. Thus, among its main activities are “the organization of meetings, workshops and congresses with students and professionals to establish a network to debate and share experiences,” he adds. In addition to this internal national promotion of molecular medical imaging, Dr. Herance’s role as Co-chair of ySMIN will be to transfer to Europe all the knowledge, advances and work being done to increase the visibility of the specialty in any of its fields: image processing, imaging protocols, preclinical studies, clinical trials, radiopharmaceuticals, other types of non-isotopic imaging plotters, etc. “Our objective is to make known in Europe the research being done on molecular medical imaging at a national level,” he points out. Dr. José Raúl Herance PhD in Chemistry and Miguel Servet researcher at the Instituto de Salud Carlos III (ISCIII). 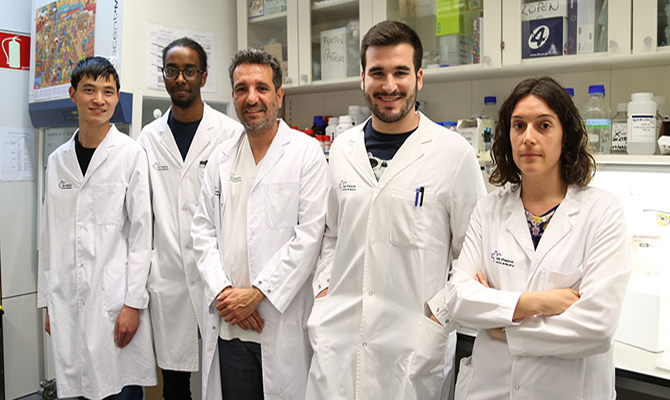 Since 2015, he has been the principal investigator of the Molecular Medical Imaging group of VHIR and currently head of the group, together with Dr. Joan Castell. His field of research is diabetes, nanomedicine and molecular imaging. For 5 years he was a professor at the Autonomous University of Barcelona. He has directed 7 doctoral theses and/or final projects. He has participated in 65 research projects and is the author of more than 76 scientific publications.